Imagine showing up to a pool party in May, where the host has tossed a few buckets-full of chlorine and scooped the leaves out with a rake. There are still twigs in the water, and even though you can see the bottom of the deep end, there are swirls of dirt hesitating before they settle. This is how I experienced Road Jam by Two Roads Brewing of Stratford, Conn. This rapsberry ale, made with lemongrass, is forcing summer early for me. It’s dry, with a touch of the advertised raspberry. It’s got a beautiful pink hue. It’ll be a go-to this summer; I just didn’t enjoy it the first-time out. 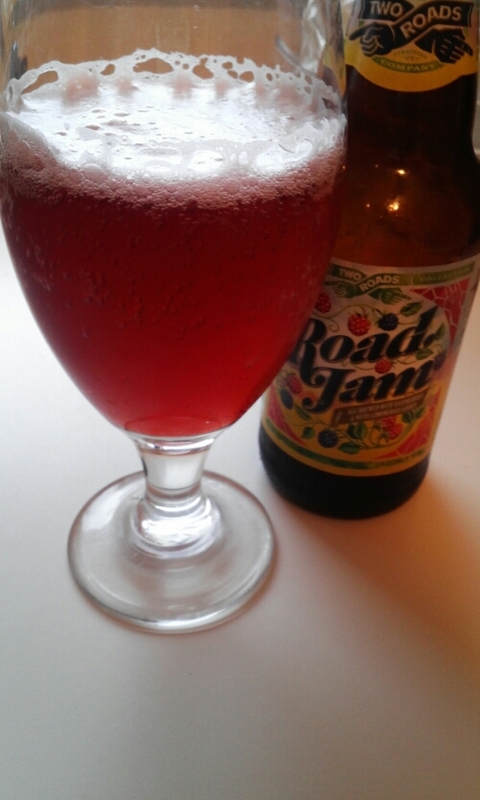 Tart, without much malt balance, Road Jam will be great with loaded burgers or with vanilla ice cream. I just can’t appreciate it now, and I am at peace with that. This entry was posted in Beer Snob and tagged Review, sip well, Two Roads Brewing. Bookmark the permalink.